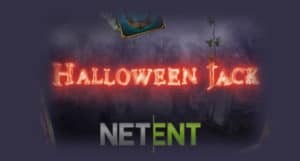 Halloween Jack Slot - A new & scary casino slot from NetEnt! NetEnt has made many different slot games. And the quality of the vast majority of their games is simply outstanding. One of their newest games is Halloween Jack. This game has many exciting features that the players can enjoy. This review will tell you more about them. The name of the game tells you all you need to know about its theme. The theme is about Halloween. This was originally a holiday dedicated to remembering the departed. However, with time, it evolved in taking candy and doing scary stuff for fun. But don’t you for a second think that this game has a “happy-go-lucky” attitude. The theme is much more serious and scarier. It’s one of those rare horror-themed games that can make your bones chill with anguish. So, if you’re a fan of the horror theme and Halloween – then you will definitely love this game. This game features 20 pay lines. Their number is fixed and invariable. Also, there are 5 reels and 3 rows on each reel. The first thing to do is select your bet size. There are many different bet sizes that you can choose from – starting from 20 pennies. The return-to-player rate of the game is 96.26%. This is pretty attractive considering the fact that the standard is 95%. Also, the game features a medium level of volatility. You can play it from non-mobile and mobile devices, too. Just download it and install it on your mobile device and you’re good to go. You can’t really expect anything less from NetEnt games than a game with exciting features. This has become the standard with these games. So, what are some of the special features that you can see in Halloween jack? There’s the moving wild feature. It can come up during any given spin. A wild will fall on one of the reels and it will start moving to the left. During this cycle – there will be free spins for the player. The free spins end when the moving wild moves out of the screen. Also, for every win that the player makes in this way – there will be a 3x multiplier. 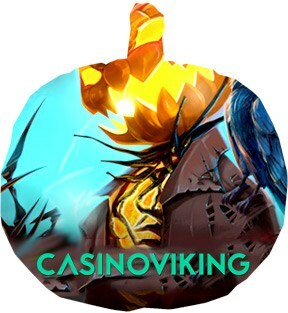 If you get 3 scatter symbols, then you will get 10 free spins for it. You can also gather lanterns there. Depending on the number of lanterns that you collect – you will get a number of wilds. Halloween Jack is a fantastic slot game that we think you will enjoy. And this goes especially if you’re a fan of horror games and the theme of Halloween. We can all but guarantee that you will enjoy this game.